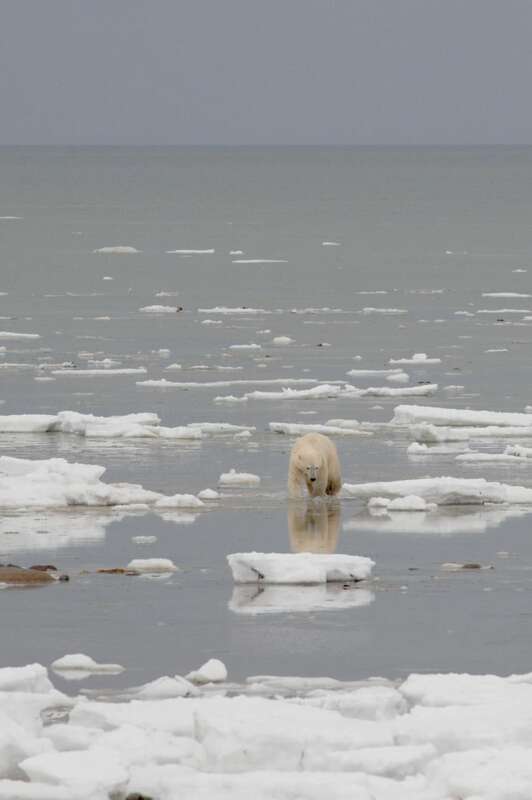 Scientists are concerned about the discovery that many polar bears in the Canadian Arctic are making marathon swims of several days in search of stable ice as the Beaufort Sea melts with climate change. They found the Hudson Bay bears rarely made long-distance swims. 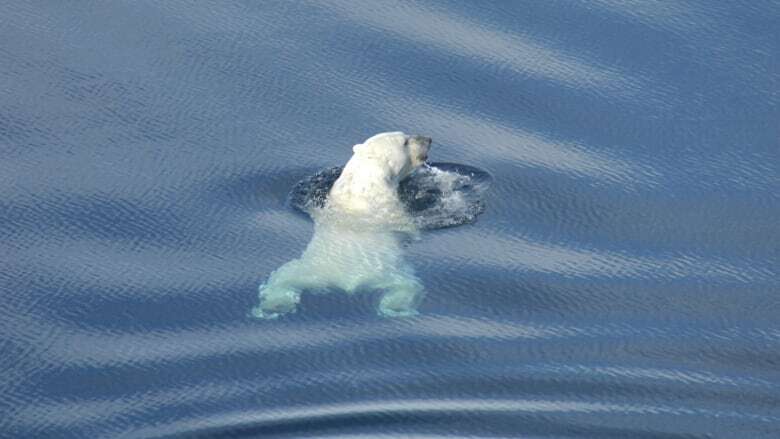 But in the Beaufort Sea, when there was less sea ice, most bears made at least one swim of 50 kilometres or more (a marathon is 42.2 kilometres) – 69 per cent did so in 2012, when sea ice coverage hit a record low. "More and more animals in the population are being caught in places that they just can't stay – so the ice that they're on is breaking up, the floes are too small, and they have to make longer distance movements to try to find better habitat," said Andrew Derocher, a University of Alberta biologist who co-authored the report, published in the journal Ecography. In fact, the researchers identified 115 long-distance swims in total during the study, 100 of them in the Beaufort Sea, with a median length of 92 kilometres or 3.4 days. On average, polar bears can swim at about two km/h. While swimming, the bears rarely rest, said Nicholas Pilfold, lead author of the study. "These bears are going for days without stopping." Pilfold, who worked on the study while he was a PhD student and postdoctoral researcher at the University of Alberta, added that swimming requires far more energy than walking. A female bear who made a record nine-day, 687-kilometres swim in 2011 lost 22 per cent of her body weight, and her yearling cub died along the way. "They [long distance swims] have a very high cost," said Pilfold, now a postdoctoral researcher at the San Diego Zoo. 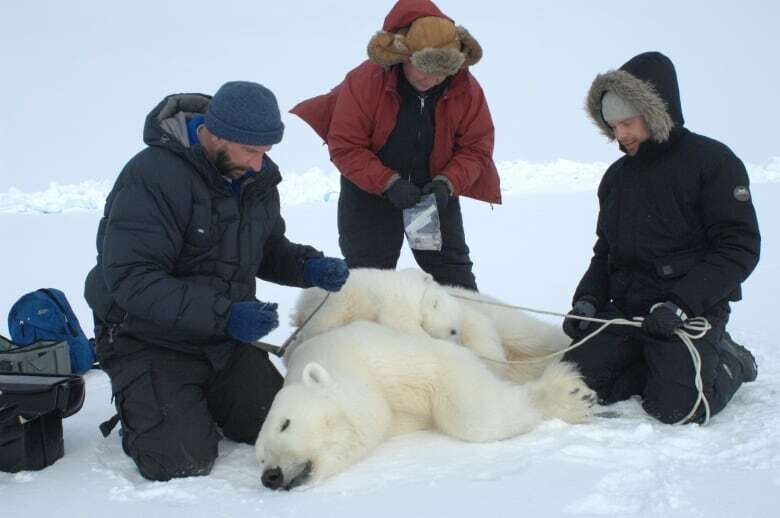 "The concern is that might have a negative effect on polar bear survival." Derocher said the polar bear population in the Beaufort Sea has fallen more than 50 per cent in the past 10 years. "So it is a concern that this is probably one of the factors associated with the population decline," he said. The study found no direct evidence of that – all polar bears appeared to survive the swims recorded in the study. But the researchers were unable to track the survival of any cubs who may have been with them. The researchers did note that females with cubs tended to make far fewer marathon swims, probably because the cubs would be vulnerable to hypothermia. "Polar bears are well adapted to swimming," Derocher said, "but of course, not all polar bears are created equal when it comes to the ability to swim." Derocher said the sea ice in the Beaufort Sea has always melted near the shore in the summer, but up until the 1980s, the edge of the ice was always visible from land. Polar bears typically migrate to follow the sea ice, which they use as their hunting grounds. But as the Arctic warms, the edge of the sea ice in summer has moved farther and farther north, sometimes hundreds of kilometres from shore, forcing the bears to swim farther and farther to find stable ice. Bears in the Hudson Bay region don't make the same long-distance swims because the ice in that region tends to melt completely in the summer. Because of that, they tend to spend their summers on land. Scientists had previous predicted that polar bears would be forced to swim more as climate change melts away the Arctic sea ice, but they said this was the first time they had enough data to actually show the link.